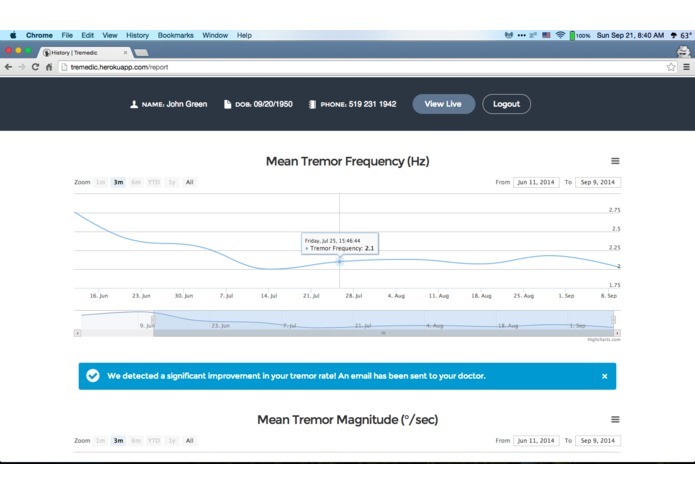 Diagnosis: A reduction in tremor upon the administration of levodopa supports a diagnosis of Parkinson’s disease. 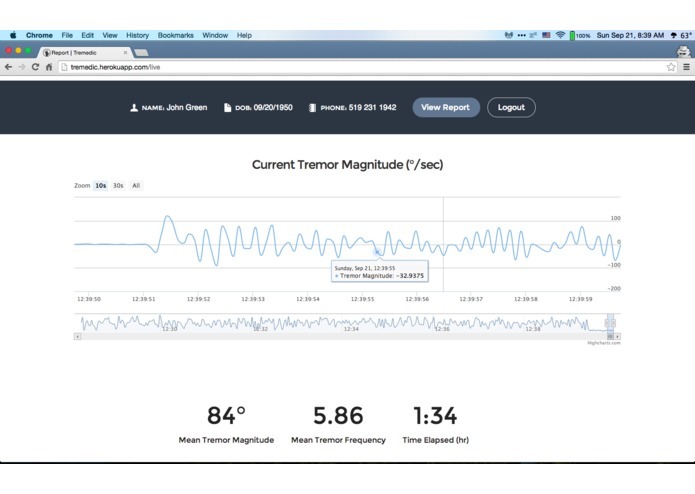 Tremedic provides an effective, objective measure of any changes in tremor magnitude to determine whether a patient responds well to levodopa, thereby confirming or refuting the diagnosis. 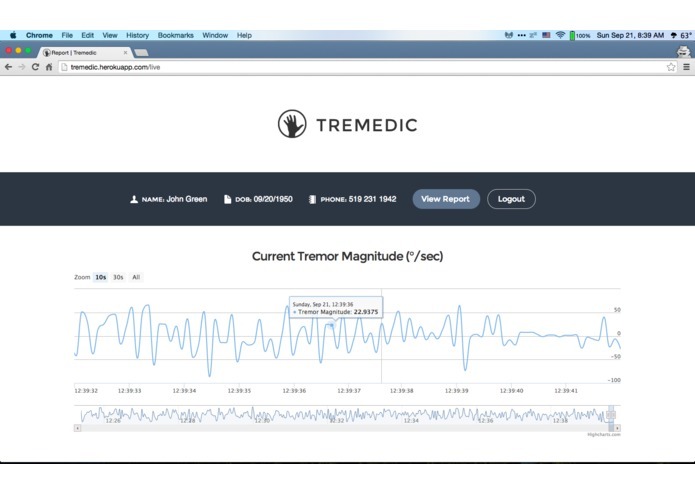 Monitoring: Tremedic offers continuous tracking of a patient’s symptoms while the patient goes about his or her daily life. 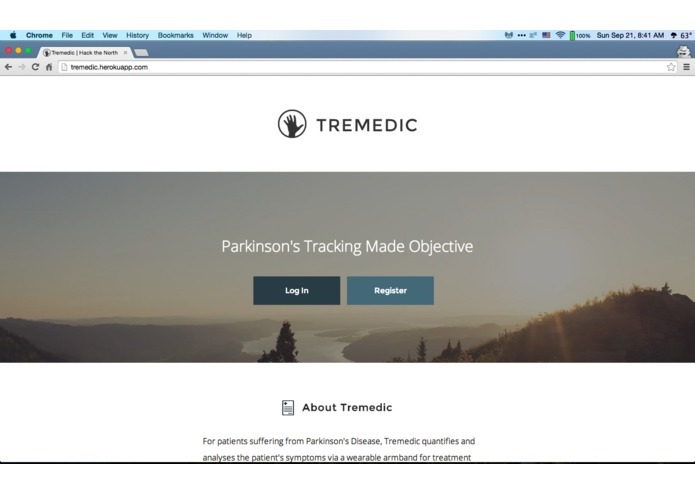 Physicians can view and export Tremedic data records in our easy-to-use web application to identify trends in symptoms. 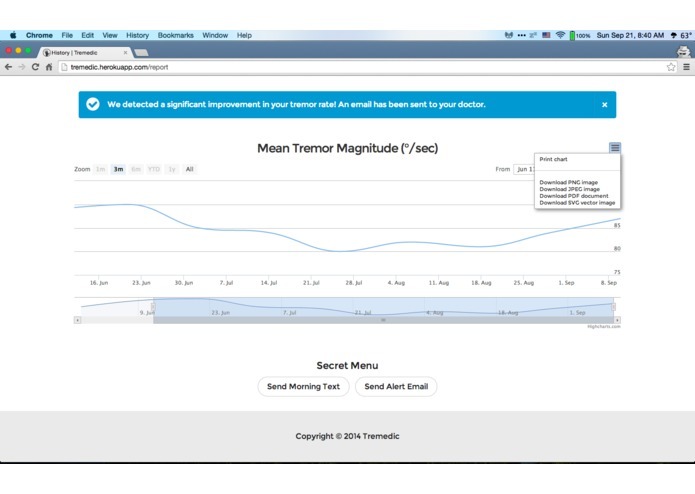 Treatment: The efficacy of a treatment can now be determined through quantitative comparisons from Tremedic data. For our purposes, thresholds will be established based on frequency and magnitude. We have established educated parameters for filtering noise from this data. 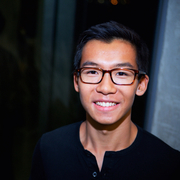 Harvard undergraduate interested in innovative projects in healthcare, biotech, and finance.